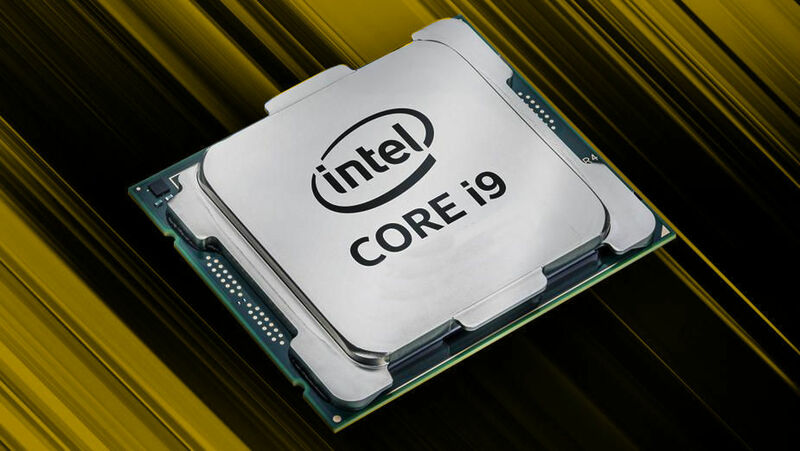 Now with the release of Intel’s new Skylake-X and KabyLake-X processors along with X299 platform, various motherboard manufacturers are announcing their products. 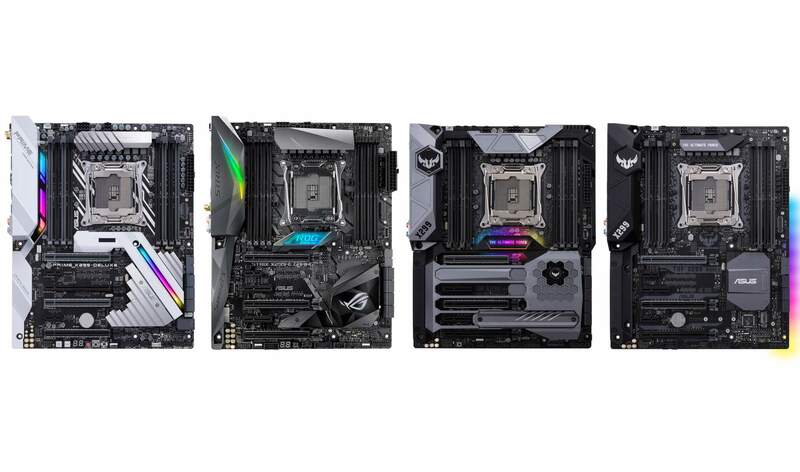 In this piece, we will be taking a look at what Asus X299 lineup till now. 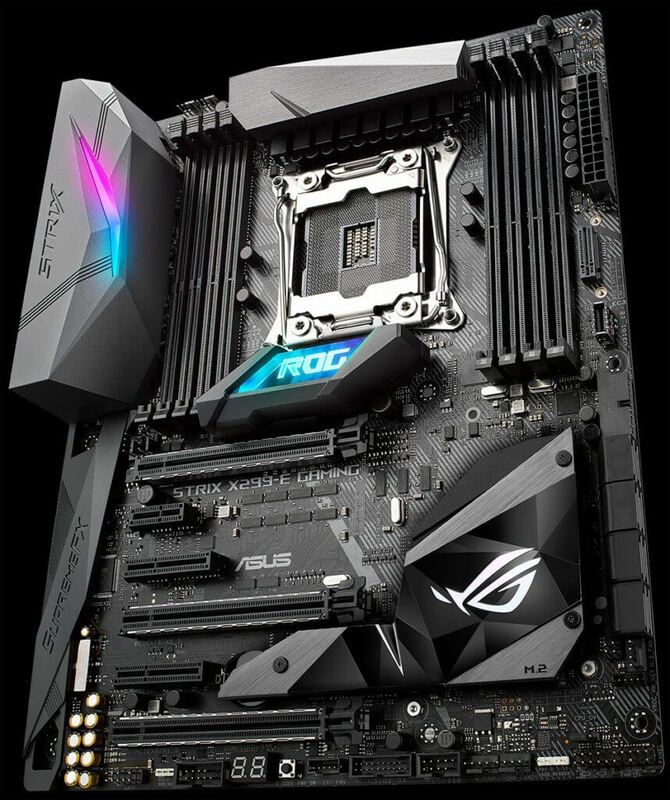 Even though we expect a full range of boards from Asus covering everything, as of now there is only seven model released. All of them have a few characteristics in common like eight DDR4 memory slots, ample amount of PCIe slots, a solid power delivery and so on. Let’s start off with the backbone of Asus lineup: the Prime series. 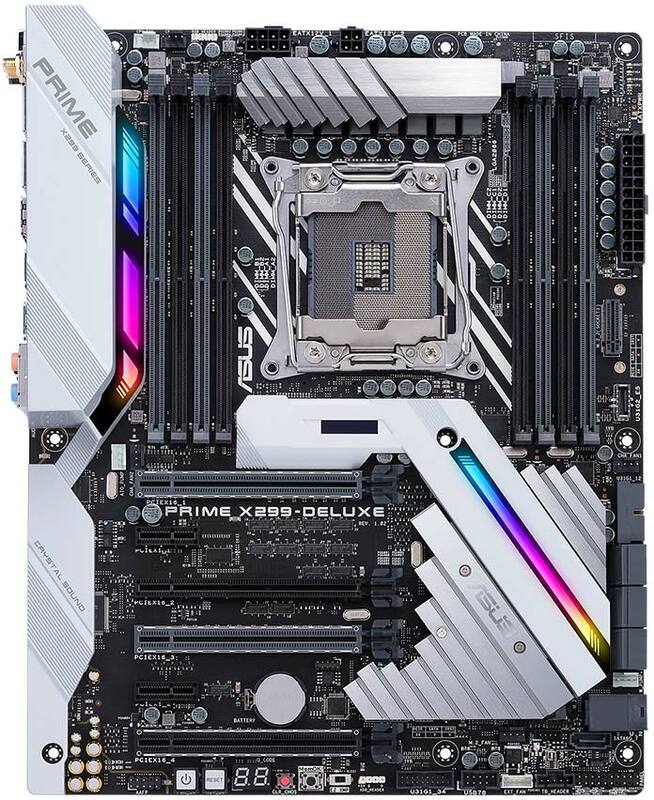 As of now, the lineup consists of two boards: The X299 Deluxe(pictured above) and its youngest sibling the X299A. 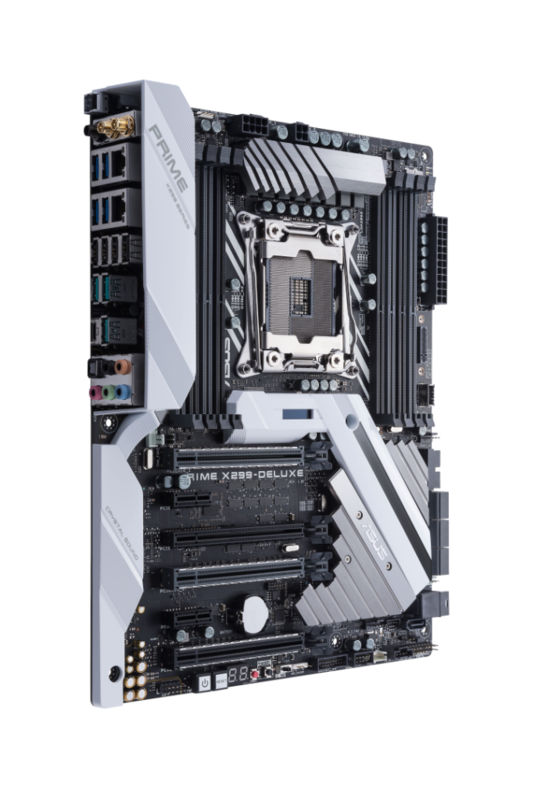 The X299 Deluxe is a standard ATX model like its predecessors coming in white and gray accent. The power side of things is handled by 8pin and 4pin power CPU/EPS power connectors which will come handy when an 18C/36T CPU is used. the Eight DIMM slots are clipless on one side to ensure easy installing and are capable of handling up to 128GB of DDR4 memory. 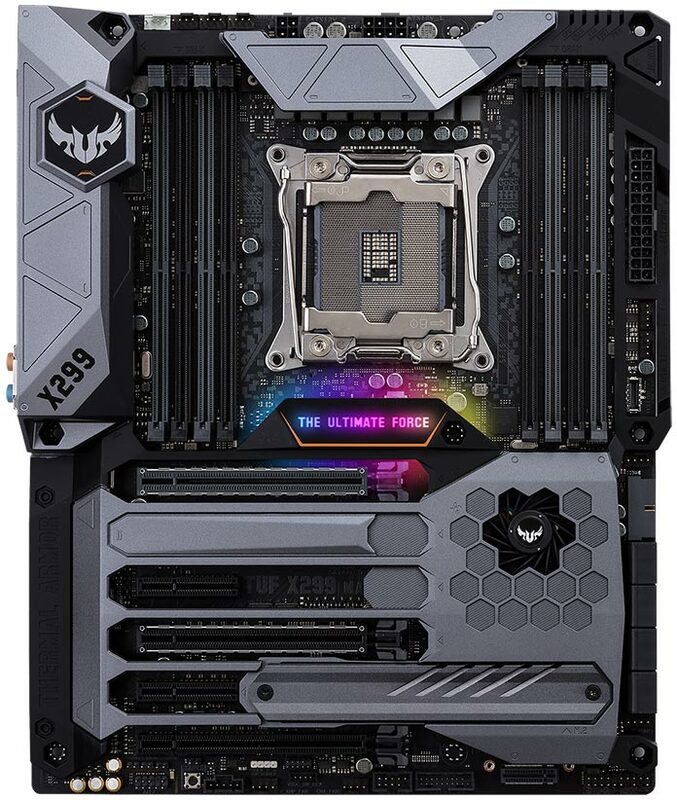 The X299 Deluxe comes with 4 mechanical PCIe slots and is capable of doing tri-GPU configurations which means one the slots are limited to X4 speeds. Storage connectivity consists of six SATA 6Gb/s ports, one U.2 port, and two M.2 slots that support SATA, PCI-E, and PCI-E NVMe M.2 solid state drives. Intel new Optane memory technology is also supported. on accessories side of things the board supports six USB 2.0 ports (four at back, one onboard), eight USB 3.0 ports (four at back, two on board), and six USB 3.1 Gen2 ports (four at back, one on board). there also going to be a bundled Thunderbolt card along with it. On the networking side, we see two Intel LAN(Intel I219V and Intel I211-AT) controllers and an onboard WiFi adaptor supporting up to 802.11ad protocol. 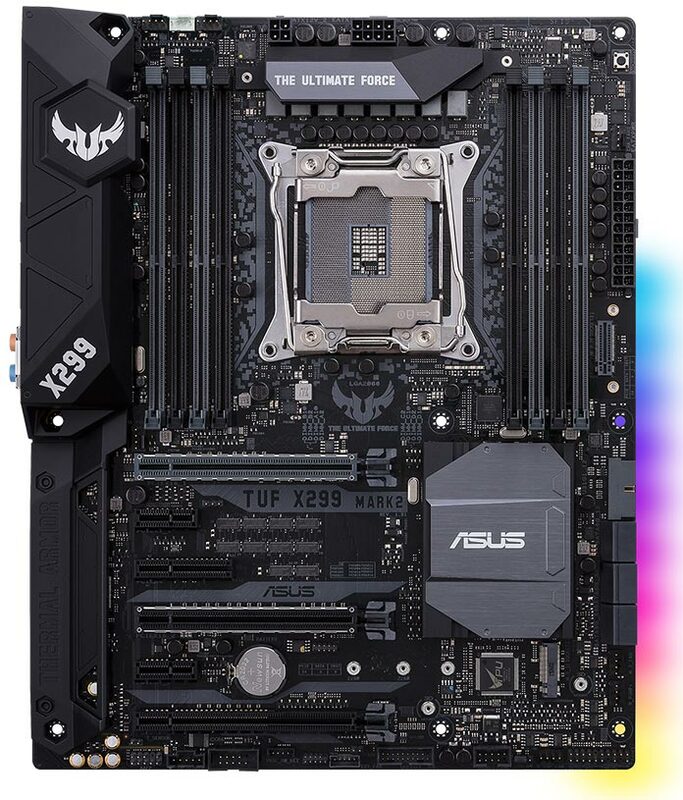 Next in line of the Asus X299 is the X299 A. The board is pretty much like its big brother with the basic essentials included. The basic tri-GPU configuration remains along with the same restrictions. Power delivery stays the same, so does the memory layout. The Aura RGB implementation is cut down a bit. one more notable thing missing is the dual LAN solution and WiFi. Overall it follows the Asus trend of not skimping on the essential but only the extravagance. TUF lineup prioritizes reliability and durability thanks to tougher components and more stringent testing. We have two models in the range, Mark 1 and Mark 2. Starting with the Mark 1, the model comes with the standard fare TUF feature set. We have around 10 fan headers around the motherboard along with the trademark TUF protective armor. The TUF Detective mobile app also makes a return with unspecified tweaking. Although not visible on the picture, the Mark 1 features a Fortifier back plate which is the strongest yet according to Asus. The board is meant to stiffen the motherboard against warping but also helps in dissipating heat from various thermal hotspots that can appear on the back of the PCB. The Mark 1 boasts of 8 phase power delivery like the prime models, Storage is handled by eight SATA 6Gb/s port and two M.2 slots.There is one USB 3.1 Gen2 header, two USB 3.0 headers, and one USB 2.0 header. We are guessing that the back I/O has ample amount of USB ports along with dual Intel Lan ports. 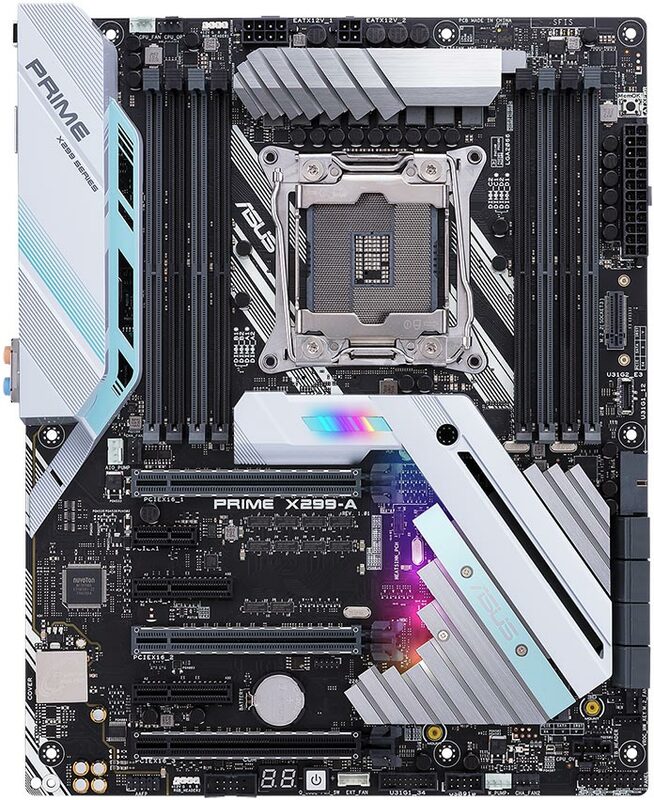 The RGB implementation seems to be the same as the Prime models with a logo in the middle of the board and one header at the bottom of the board. Next up is the stripped down Mark 2 version of the board. The Mark 2 much like its brother X299A cover the essentials and loses all the unnecessary bling and a few functionality. The SATA ports come down to six, also Asus decided to do away with the total fan header count from ten to seven. The board, however, looks like has more RGB LEDs than the Mark 1 but not RGB header. While everyone is eagerly waiting for the ROG lineup of boards from Asus. they are keeping the boards under wraps. So, for now, we have only pictures to show. 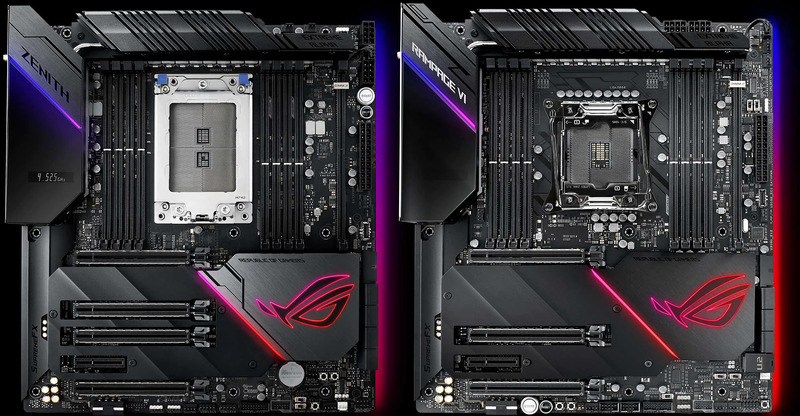 Strix X299E will be one of the entry level boards in the ROG lineup. 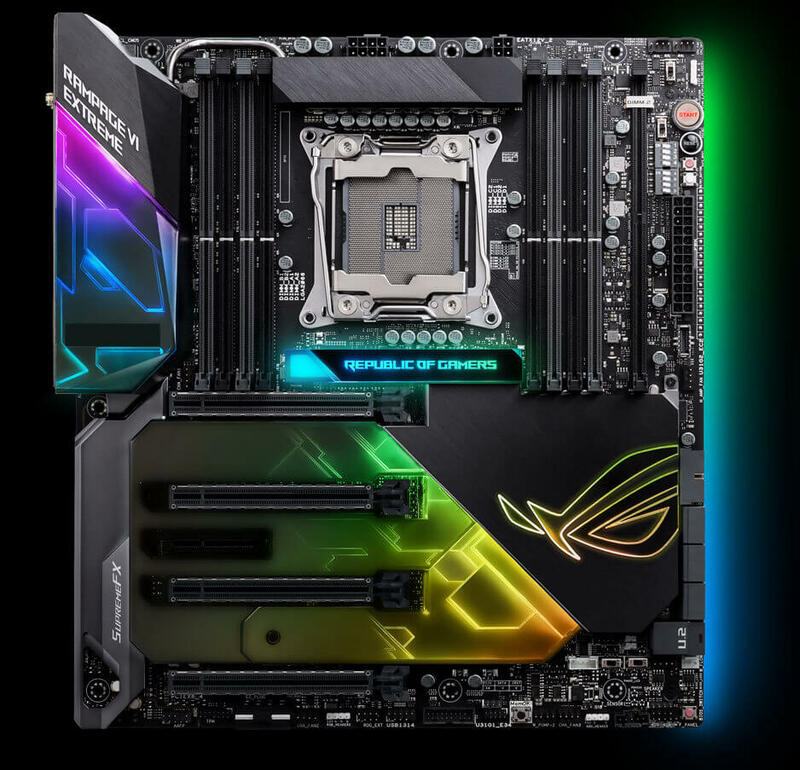 As such it will contain most of the ROG essentials like enhanced overclocking capabilities, better power delivery and so on. Strix X299-E has an 8-phase digital CPU power design managed by some variant of the DIGI+ PWM controller. Storage wise we have eight SATA 6Gb/s ports, dual M.2 slots. On the network side of things, we have one Intel-powered Gigabit LAN port, and onboard dual-band 802.11ac Wi-Fi. Cooling wise the board has seven fan headers across the board with two high ampere headers for AIO coolers. 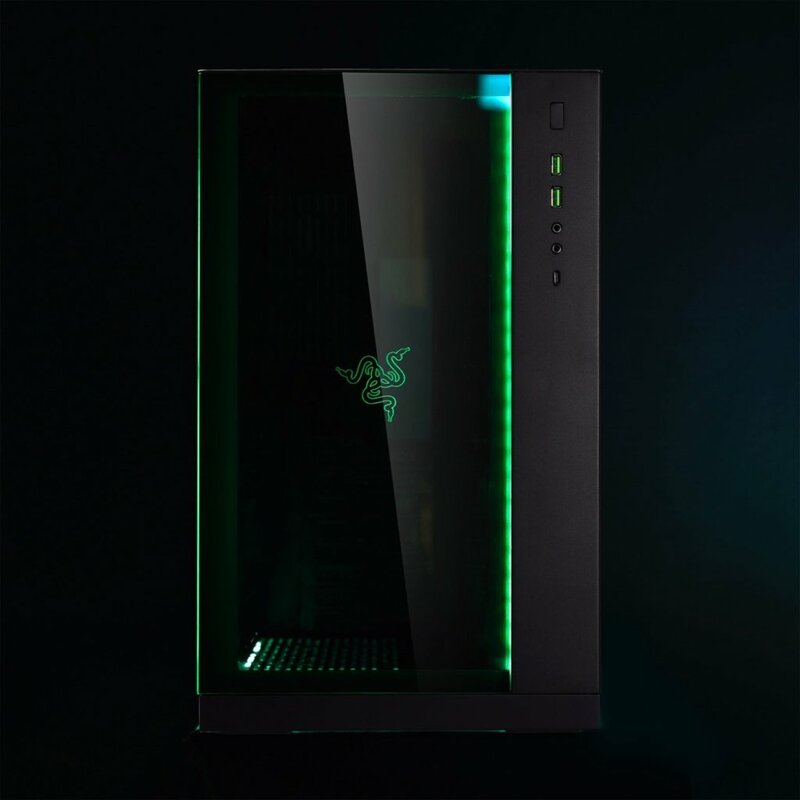 Other features include an onboard power button, Q-Code Debug LED, and a CPU overvoltage jumper. Next up is the flagship Rampage VI Extreme. Not much info is out yet on this board. And that concludes our short preview of Asus X299 boards for now. We will update this as soon as new information becomes available to us.